But if you know your 2000GTs, you will notice that the two models aren’t exactly of the same cars. The new Premium is modelling the 1969 and after cars, which had smaller driving lights and larger rear blinkers. The older Limited and regular castings were of the pre-1969 cars. The new casting certainly looks cleaner and crisper, and has the right level of detail for the price. You can also see that it has the more modern production techniques - there are no hand painted details like on the “Limited”. The interior is rather simple, as with the other Premium models - but it doesn’t detract too much. I’m hoping we will see this casting in other colors and a few classic racing liveries too - it is just too nice to stay in white only. 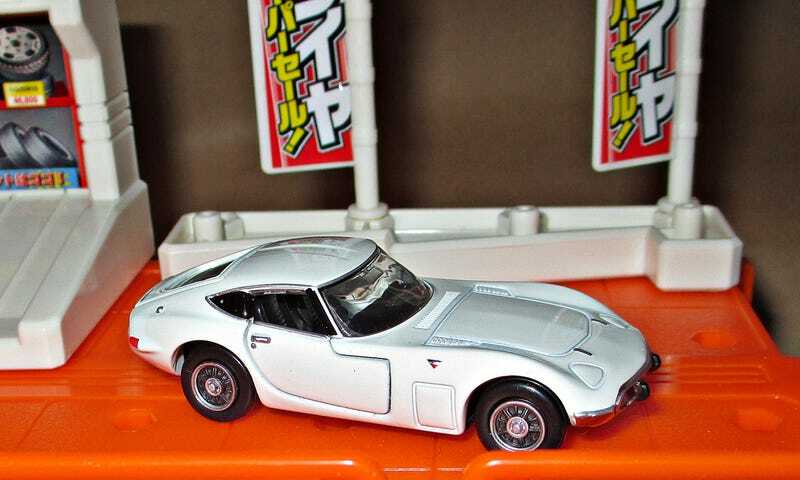 All in all, this is another winner from Tomica. Toyota didn’t do so well out of the 2000GT, as only 353 cars were made from 1967 to 1970. And Toyota lost money on each of them. On the other hand, Tomica has been churning out 2000GTs for 48 years now, and I’m sure they figured out how to make a profit on them by now.